- The Somaliland government is working to simplify policies governing investment and business creation as part of its efforts to strengthen trade and attract foreign and local investors. The Somaliland Investment Guide, developed in partnership with the Somaliland Ministry of Commerce and the Chamber of Commerce, Industry and Agriculture, will be a clearinghouse of economic, legal, regulatory and investment information for local, diaspora and foreign investors. 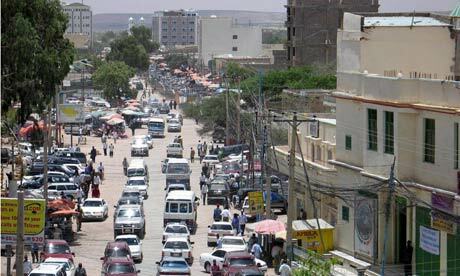 "We will create a website to collect information about investment, available opportunities, where to invest and pertinent information so foreign and diaspora investors and citizens can easily obtain information to help them make decisions any time," said Mohamed Saleban, director of planning and statistics at the Somaliland Ministry of Commerce. 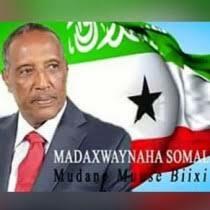 The website will also provide information about Somaliland, licensing procedures, visas needed for foreigners and all associated information, he said. Work on the Somaliland Investment Guide started in August and will be completed in January 2013, with funding from the US Agency for International Development. In addition, the government has created a "one stop shop" to ease investment. The initiative, funded by the World Bank, will create a single office that brings together various agencies --including the Ministry of Commerce, the Chamber of Commerce, Industry and Agriculture, the Ministry of Finance, and others -- to simplify licensing processes and provide investors with all the information they need in one location. This project, which will be implemented in January, will help investors save time by streamlining the registration process, he said. "It is a good opportunity to get rid of all barriers," said Abdirahman Ismail, head of the sales department at Telesom Company in Hargeisa. "To have one location for licencing systems will eliminate the frustration over the time lost trying to get licenses through the various agencies." "We welcome its improvement," he told Sabahi. "It will enable any interested individual to easily start working in Somaliland and undertake the long process that was once insurmountable, which will increase the capacity of investors." Store owner Asha Yusuf, who sells construction materials in Hargeisa, said simplifying the rules and making information more accessible is a step in the right direction, but much more needs to be done to encourage local residents to open small businesses. "Their number one need is access to loans that follow Islamic law and do not impose interest," she said. Some privately owned banks have started to introduce small loans but require borrowers to have 30% of the loan amount as a down payment, a requirement that most prospective business owners cannot meet, she said. The government must bring forward policies to help businesses access funding for start-up costs, she said. It must also provide guidance and other needed support so that new business owners do not feel alone as they venture into a big investment. Saleban said the Ministry of Commerce is working on programmes to provide micro-financing for public-private partnerships and will continue to work to ease barriers that hinder economic growth. "[The government's] aim is to increase investment, which will in turn increase jobs and improve the country's economy," he said. "Once we attain that, the public standard of living can increase." Recent reforms were prompted by complaints from the business community and preliminary findings from the 2012 Somaliland Business Confidence Survey, which was presented publicly December 18th at the first annual Somaliland Business Conference in Hargeisa. The survey solicited feedback from investors and the business community on their perceptions of the Somaliland business environment and impediments to investment, and was conducted in November in Maroodi Jeeh, Awdal, Sahil, Togdheer, Sool and Sanaag. The survey received responses from 273 businesspeople -- 236 from Somaliland and 37 from the diaspora -- including 72 women. The survey showed that 43% of respondents had invested less than $10,000 to start new businesses in Somaliland and only 2.2% had invested more than $1 million. Investments were concentrated in Maroodi Jeeh, Sahil and Togdheer, where more than 20% of businesses surveyed invested over $100,000. In Sool and Awdal, however, that figure dropped to less than 8%. In addition, 58.5% of respondents said the process of registering a business and getting a license is difficult, 43% said business start-up legislation would have a positive effect on future investment decisions, while 21% said it would have a negative effect.